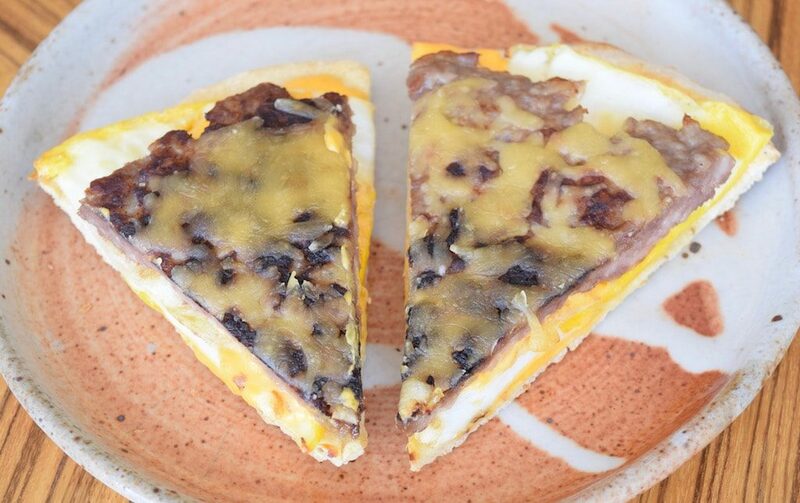 You are here: Home / Eggs / Sausage Breakfast Pizza! This pizza is the best thing, ever, for breakfast! It may be kind of weird, but I really love any combination of eggs, sausage and melted cheese, along with any type of bread-like food. In other words, egg and sausage biscuits, muffins or croissants. I’m also fan, of course, of good pizza. Join the two, and it’s breakfast heaven. 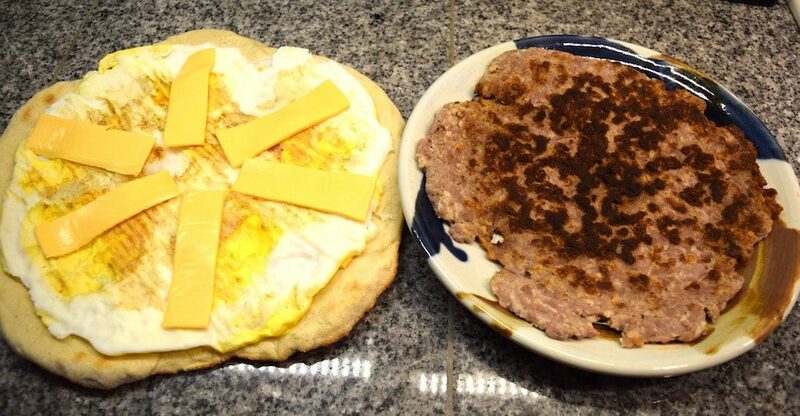 Here’s the thing, though, breakfast pizzas I’ve eaten have been, in a word: lame. Not enough egg. Not enough sausage. Too thick of a crust. And light on the cheese. I made this pizza to counteract all of that. 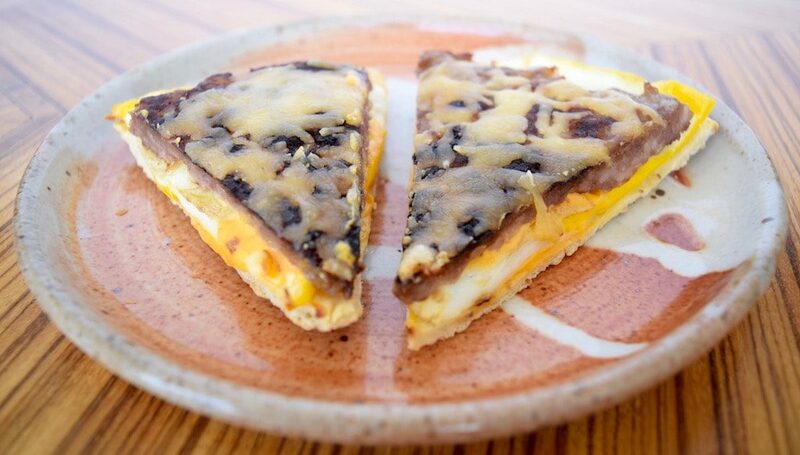 This pizza features an egg sheet, meat sheet, cheese glue and a right-thickness crust. It’s pretty easy to make, and it feeds a lot of people. a few ounces of your favorite cheese, shredded. 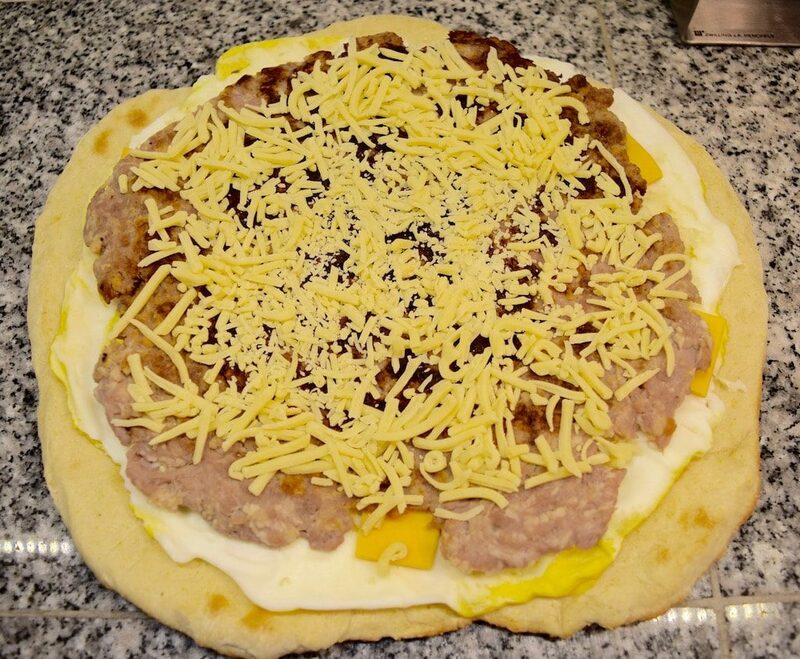 I used Asadero for this pizza. 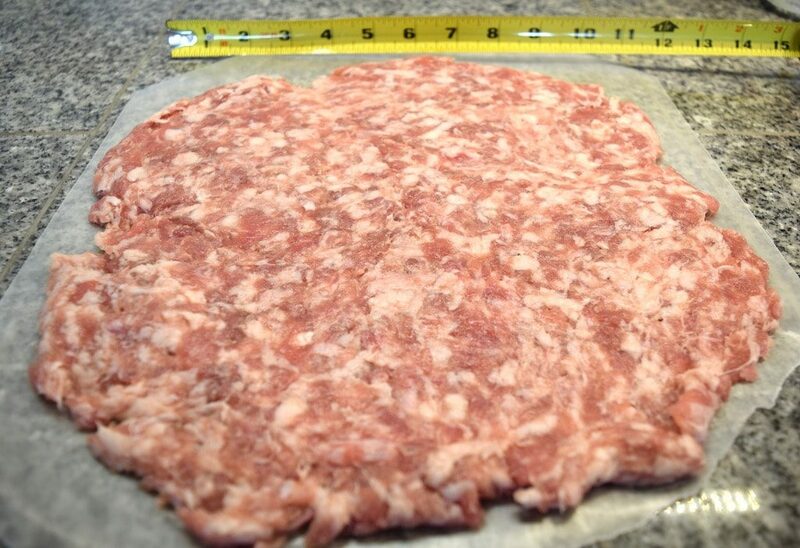 Make the meat sheet by pressing the raw sausage between to pieces of parchment paper. I actually used a rolling pin after initially pressing it out. 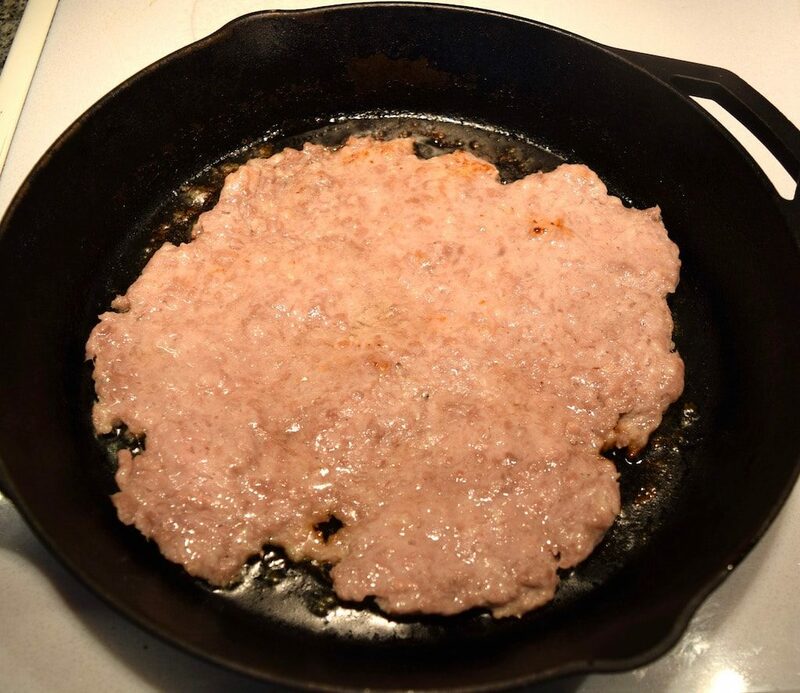 Lay the meat sheet in the fry pan (slightly oiled) and cook slowly until most of the fat is cooked out of it. You’ll probably have to press it down with a spatula occasionally to keep it flat. When it’s done, remove it from the pan and place on paper towels to absorb the oil released from the cooking process. Set aside. Now it’s time for the eggs. I had to think about how to make a round egg sheet that could be released from its cooking vessel without breaking up. 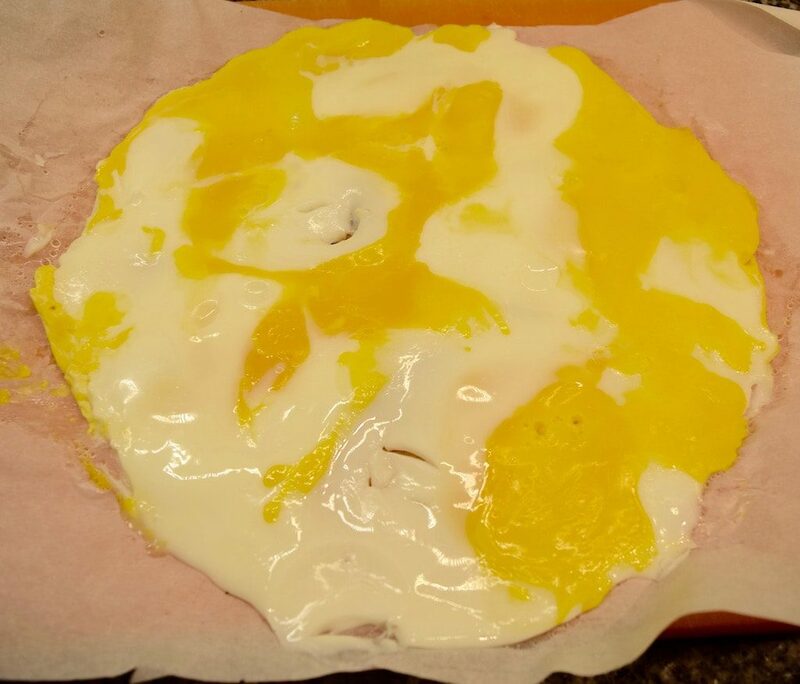 I guessed that cooking the eggs in a pan lined with parchment paper would do the trick. It did. 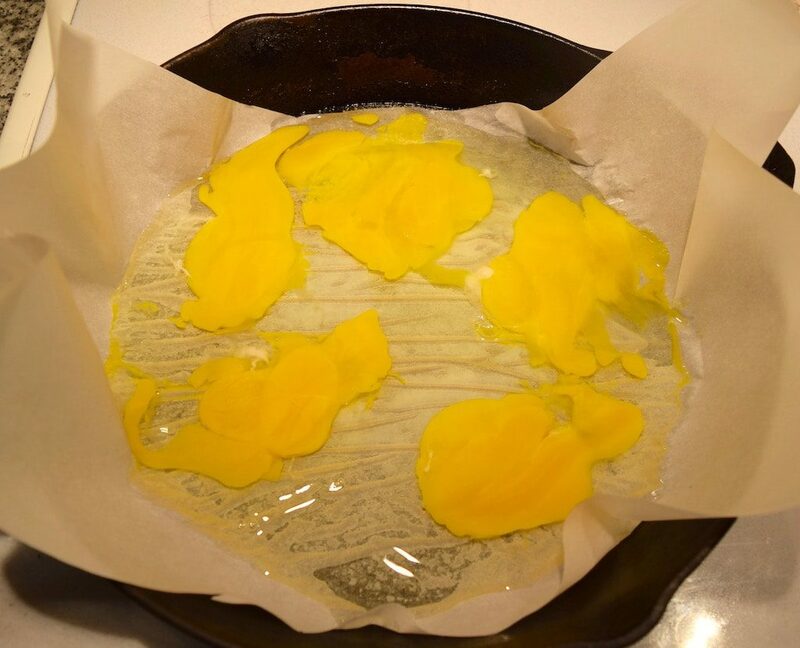 As you’ll see in the photo, line the pan with the parchment paper and break however many eggs you want into the pan, breaking the yolks as you go. Cook slowly over low heat until the eggs are fully cooked and set. I suppose you could do this in the oven, as well. When the eggs are done, remove them from the pan and let them cool a bit. Now it’s time to assemble the pizza. Take the crust (I used home made) and add strips of American cheese radiating from the center of the pizza. Use as many as you like. When melting in the oven, these will glue the egg sheet to the crust. Place the egg sheet on top and press firmly. 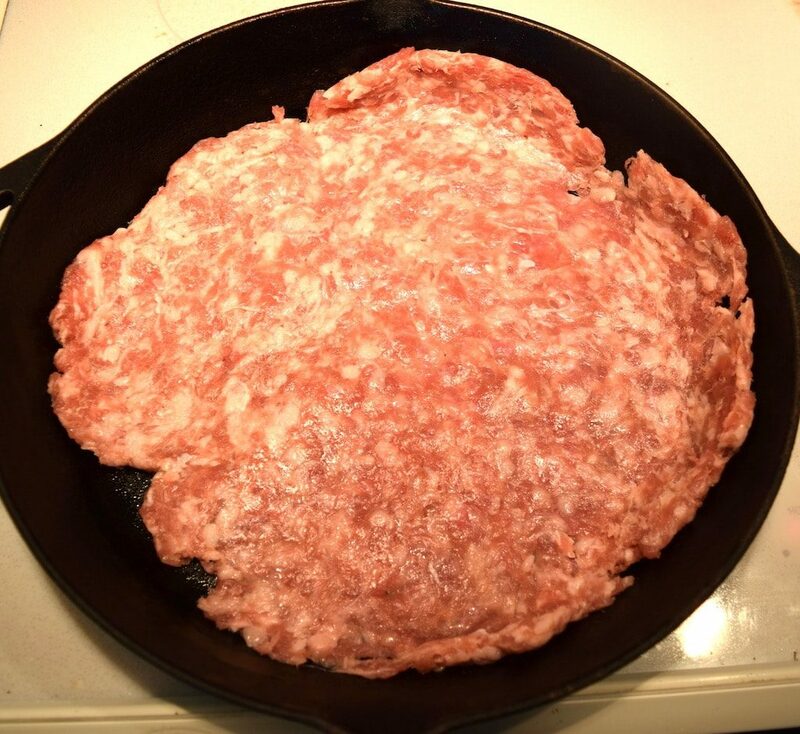 Add the sausage by again using radiating strips of cheese, which will glue the sausage sheet to the egg sheet. 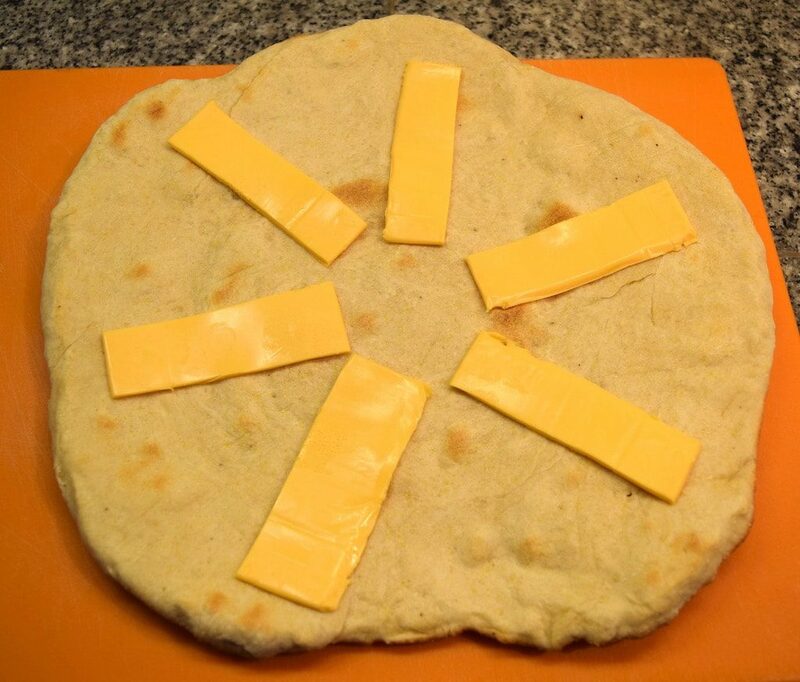 Sprinkle with cheese and you’re ready to bake. At this point, remember that the eggs, meat and crust are already cooked. All you’re doing in the oven is heating everything back up and melting the cheese. I recommend heating at 350 degrees until the top cheese melts, then a few minutes longer to ensure the American cheese strips melts and the egg and meat are fully reheated. Let cool on a rack, cut and serve hot. Serves 4-5 people. Meat sheet: formed and ready for cooking. In the pan and ready for slow-cooking. It is a bit over-sized, but will shrink with cooking. Getting close to fully cooked. Cooked and cooling. 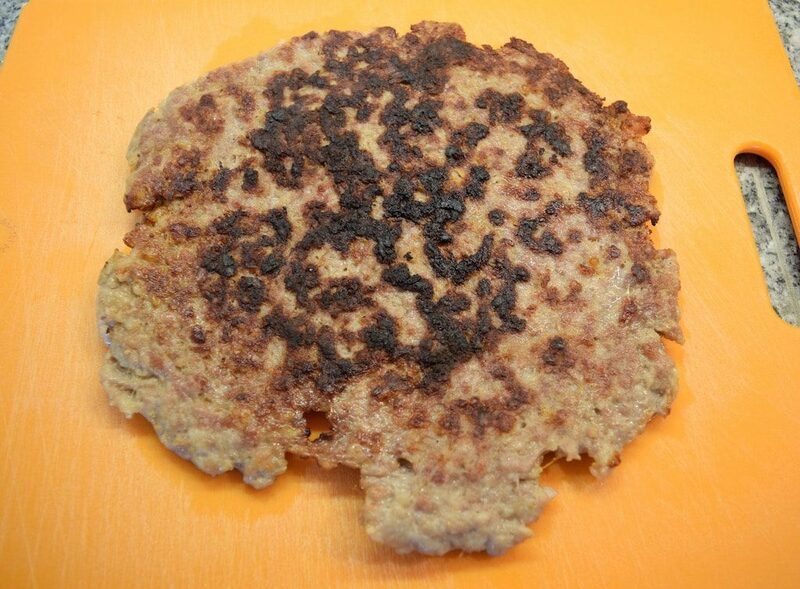 It may look burnt, but it wasn’t. Just browned. Eggs cracked and ready to slowly cook. Egg sheet cooked. Looks shiny, but it’s not wet. Ready for the sausage layer.